Serving Our Communities | Spire Inc. When we put our energy behind our communities, we all thrive. That’s why we invest our time and resources in the organizations and initiatives that make life better for everyone. In 2016, we invested nearly $5 million to advance the communities we serve. Through generous employee gifts augmented by Spire, we came together to give nearly $1.3 million to United Way in support of programs and services in our hometowns. This Valentine’s Day, more than 100 Spire employees delivered smiles to our communities’ bravest fighters. A big thank you to St. Louis Children’s Hospital, Children’s Mercy, USA Children's and Women's Hospital and Children's of Alabama for hosting us, and for all you do to serve families. Together, we are #FuelforGood. Watch our journey below. When we put our energy behind our communities, we all thrive. We're excited to announce Fuel for Good, a collection of stories about people doing amazing things across our service territory. Read all about them. At Spire, we believe in a world where energy champions people, enriching their lives and advancing their communities. Spire Serves, our corporate social responsibility (CSR) program, makes that idea a reality by supporting organizations that fuel stronger, more vibrant communities for our businesses, families, partners and neighbors. DollarHelp is our way of bringing together the generosity of our community to keep our communities warm during the winter. 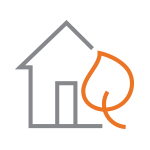 By checking the red box on your gas bill, you help neighbors stay warm by funding heating grants across your communities. Have questions about how we’re serving our communities? We’re here to help.